Jacada is a software & services company providing products for customer service and support. Jacada built a web-based development environment for building customer interactions. The app maps out the steps of the customer service process, and creates new interactions. I designed dozens of mock ups, icons and style guides for different screen flows, based on continually changing wireframes. I chose to use Google's Material Design as the product was developed in Angular Material. We were nominated for the 2015 UX awards! Buy America is An e-commerce company, enabling users to shop from US online stores. The service is in Hebrew, presenting fees and shipment options in NIS. I was asked to create a mobile version of the website. 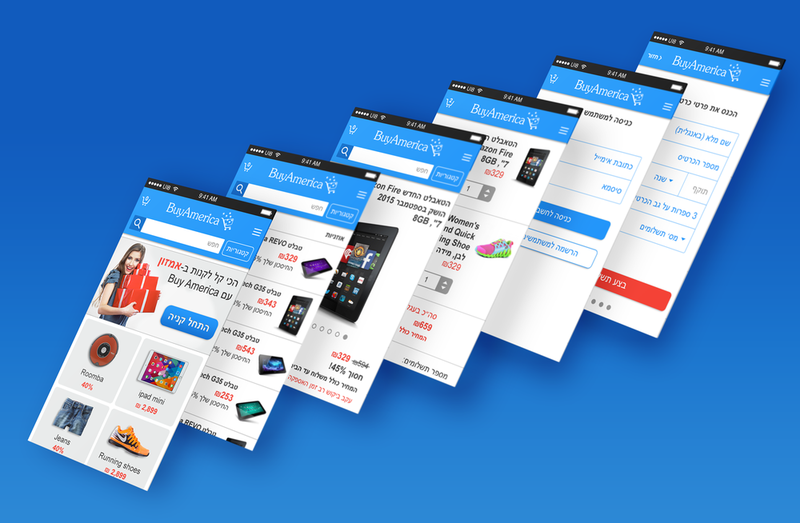 I sketched & designed about a dozen screens, from 'homepage' to 'confirm purchase'. I also designed a unique feature that enables shopping directly from Amazon, through Buy America. After my work was completed, Google Analytics showed a significant raise in the conversion rate. Artale turns an ordinary museum tour into a fascinating mobile adventure in which one evokes ghosts, collect magical objects and unravel art mysteries. 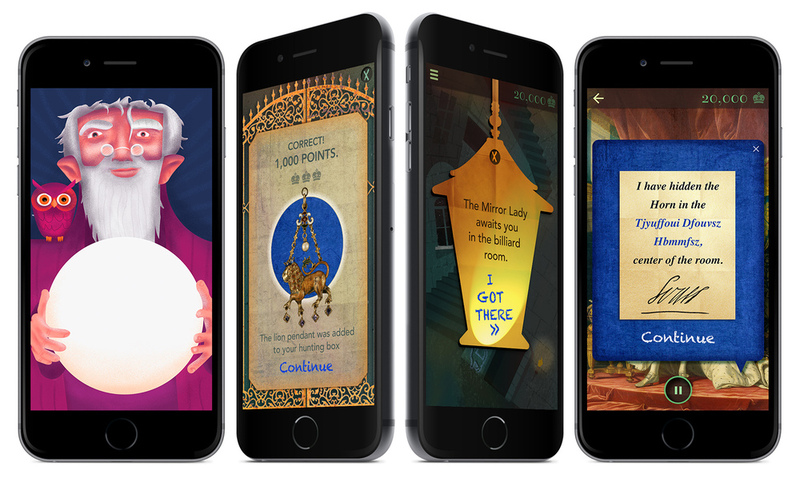 Here I did the UX and UI design for a mobile game designed for youngsters who visit the Wallace Collection Museum. Educonsulting makes interactive learning products for young children with special educational needs. Here I given rough wireframes and developed a simple design for a PC native + mobile app, which enables multi-channel collaborations between the customer service agent and the customer.